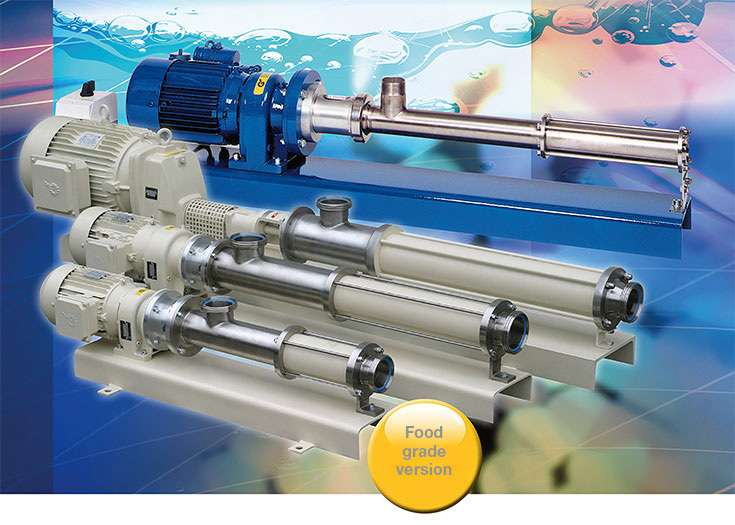 These eccentric screw pumps enable a gentle, almost pulsation free transport of thin to high viscous, thixotropic, gaseous, solids and fibres containing, aggressive and neutral media. 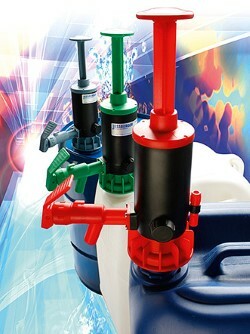 For pulsation free and gentle transport of food, cosmetic and pharmaceutical products. Exact specification of the pumping medium. Stator and material of seals in food grade quality FDA, also PTFE stators are available. Sludges • Pastes • Soap • Shampoos • Honey • Syrup • Jams • Ketchup • etc. 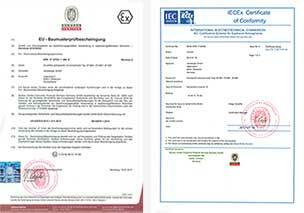 In addition, a special version for use in hazardous areas as well as a version for the food industry is available.